The Albany Vintage and Classic Motor Club, based in Port Alfred, Eastern Cape, was founded on the 4th of January 2004 with the aim of encouraging the acquisition, use, restoration, preservation, maintenance and exhibition of Veteran, Vintage and Classic motor vehicles and motorcycles. The AVCMC keeps statistical, historical and technical records of vehicles as well as an up to date membership register reflecting vehicles currently owned by members. The Club organises and promotes competitions, trials and other events in which Veteran, Vintage and Classic motor cars and motorcycles can participate. Informative and entertaining Newsletters are published on a monthly basis. The newsletters also contain a wanted/for-sale/swap section. 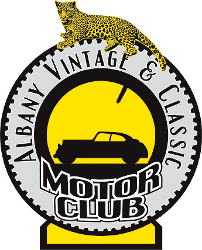 Membership of The Albany Vintage and Classic Motor Club is open to all who share our love of Veteran, Vintage and Classic motor vehicles. An Annual General Meeting is held in July. The Club meets every Thursday from 5pm to 8pm at their Clubhouse, see Location and Upcoming Events for further details. Below is a detailed history of the Club. Compiled by Ron Gush during 2012 with lots of help from Des Hill, Don Lee and Manfred Jung. 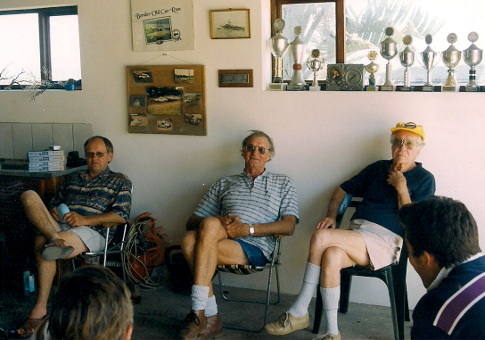 In the beginning, before the AVCMC, the old car owners in this area belonged to surrounding clubs like EPVCC (Eastern Province Veteran Car Club) in Port Elizabeth, BVCC (Border Vintage Car Club) in East London and GMT (Grahamstown Motor Club). But the more distant clubs did not really provide much social interaction for folk in the Albany district and, unfortunately, activity at the GMT was declining. 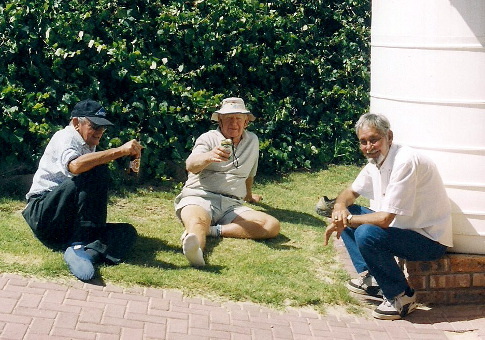 Although there may be some discussion about who first suggested the idea, it is fair to say that the four men who got together with the objective of founding a club in Port Alfred were Des Hill and the late Don Lee and the late Don Perrow and Manfred Jung (who has resign from the club and moved away). A great deal of work had to be done before this dream could become a reality. It was of paramount importance not to step on the toes of the surrounding clubs. Also, the GMT was not SAVVA affiliated and the Founding Four considered affiliation to be very important. 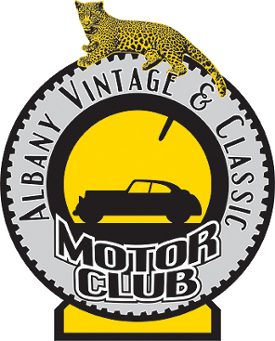 It was after the GMT finally ceased operations that the Albany Vintage and Classic Motor Club opened its doors on the 4th of January 2004. One of the first priorities was finding a suitable meeting venue and in this regard Don Lee stepped in to provide a double garage. With a lot of hard work this was converted into the club house that we enjoyed for 13 years. Don Lee funded the conversion of the garage into a clubhouse. The GMT club, however, which was by then defunct, made a very welcome donation to club funds. Later, Don Lee also provided substantially towards building the nearby toilet, with the balance being raised by donations from members. In April 2017 the club moved out of 51 Mentone Rd. Don and Pat had passed away in the previous years and their family had graciously allowed us to remain until the property was eventually converted into a bed and breakfast. During May 2017 the Clubhouse was incorporated into the Museum at Hawkins Industrial Park, 91 Alfred Road, Port Alfred. The Museum / Clubhouse area was expanded to include some of the floor space previously occupied by the Red Leaf Nursery. Many thanks to Dave Hawkins for making this possible. The club badge was selected from a design by the late Harold Ainsley who was one of our earliest members. The leopard is significant especially in this area where this beautiful cat is indigenous and is included in the coats of arms of the Eastern Cape Province (as a leopard skin head band), the City of Grahamstown and the First City Regiment and no doubt others too. The leopard is a graceful animal of considerable strength. In heraldry and African custom it is a symbol of authority. The main background of the badge is a tyre, the valve stem pointing down at the car. The car is purposely not based on any real model so as not to show preference for any particular brand. The overall effect is a simple and yet distinctive badge. One thing is certain, that we will always wear this badge with pride. The club Constitution was based on the one recommended by SAVVA. A committee was formed and during the first year, application was made to SAVVA for affiliation. It was required that the club serve a period of probation under an existing club and in this regard the EPVCC were very helpful in guiding the new committee. Today we are very grateful for the foresight shown by that first committee in gaining affiliation to SAVVA. Thus began good and enduring relationships with neighbouring clubs. We are very proud to host the annual OD Inggs Memorial Run in memory of that fine gentleman of Grahamstown and the legacy which he left to the old car fraternity. The support received from neighbouring clubs by their participation in this event further bears testimony to these valued relationships.